Before Lili (Pikelet and Pie) packed up and embarked on an adventure in the exotic land of Vietnam, I paid her a visit and became the official custodian of her collection of cook books. Lili also went through her pantry and fridge, and I was given a box of smoked Maldon sea salt, pomegranate molasses that I had convinced her to buy, and a large tin of homemade dulce de leche. 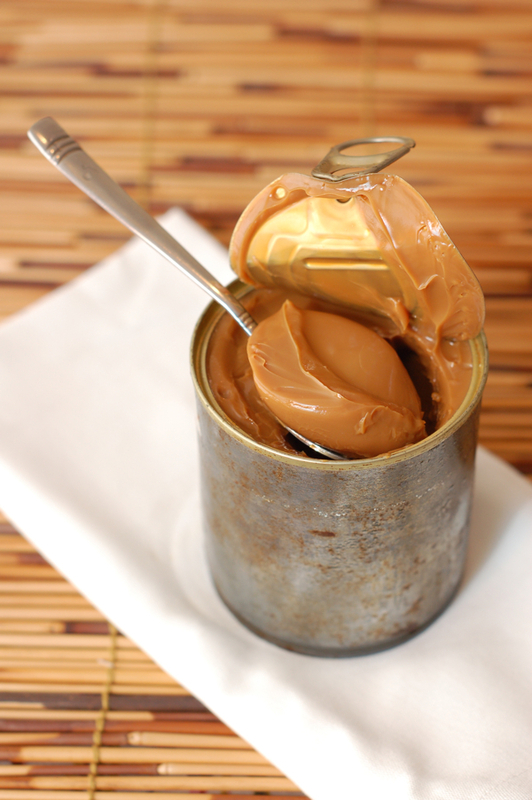 Dulce de leche is sweetened milk that has been heated to induce caramelisation. Lili simmered cans of condensed milk for two and a half hours and the result was a buttery sweet caramel, intense in colour and flavour. I try not to make overly sweet indulgences at home, in an effort to avoid type II diabetes and Lainy’s scornful looks, and so the can of dulce de leche sat in my fridge collecting rust as days turned into months. A few weeks back, I noticed that the coffee shop next door was selling alfajores filled with dulce de leche and I mentioned them to my Brazilian friend Priscila. I often joke around with Priscila about how much Brazilian culture and much of Latin America has borrowed from the Lebanese and the Arabs (in the style of My Big Fat Greek Wedding), especially in the realm of culinary exploits. I scored another win in that department when Priscila researched alfajores, which turned out to be a Spanish specialty of Arab origin, originally named alfakher in Arabic meaning “the grand” or “the luxurious”. This reinforced my opinion that Spanish words beginning with “AL” are originally Arabic. I thought I would deviate a little bit from the modern version of alfajores and attempt to recreate what the Arabs would have invented. The alfajores I’ve tried have a texture and flavour akin to shortbread. So my mind went to ghraybeh, the Middle-Eastern shortbread. Ghraybeh is very simple cookie, containing only 3 ingredients, but as with many Middle-Eastern pastries, the recipe is almost always poorly documented and frustratingly vague. Chef Ramzi uses cups for measure, which is terrible when used with non-liquid ingredients. I encountered complete failure on the first attempt, but have since been able to perfect the recipe. Ghraybeh can be eaten alone, or used to sandwich dulce de leche as I have done here. 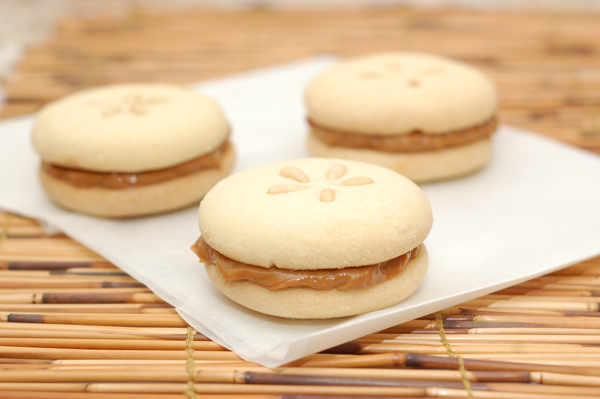 For the recipe of dulce de leche, please view Lili’s blog here. Take the pastry out of the fridge. You must work fast here as the pastry will go soft if you handle it too much. Pinch a bit of dough and roll it up to a ball between your hands, flatten it slightly and then place it on top of the baking tray and flatten until the shape is of a round cookie. Oh that tin looks familiar! Great to see it being put to use (sorry Lainy!). Your biscuits look perfectly luxurious. I've never used ghee in a biscuit before, is that a very Lebanese thing? 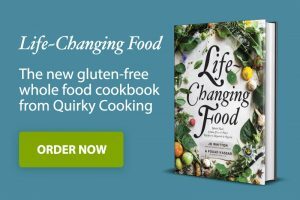 We've been following your food blog for a while now and have been inspired to start one of our own! Please pop by when you have time! Can I grab one please..
this is a great recipe, taking the graybieh to the next level…I like the idea of stuffing it with dulce de leche. I love these cookies Fouad! I made ghoraybeh recently too and I can relate with the vagueness of traditional recipes being totally frustrating! I have contacted Chef Ramzi before to ask for clarification on his recipes they are so often totally off it is a joke! Anyway! Great photos and now that you are telling us that alfajores is an arab name, I will try them! Lili – thanks again for the dulce de leche. It was superb. ghee is quite common in pastry making, though probably more so in commercial kitchens than at home. Ghee is too high in saturated fats to be used frequently. Arlette – please, help yourself! 🙂 It's quite good. So beautiful for such a simple cookie! I’ve definitely become more interested in trying Middle Eastern recipes since I’ve spent so much time in the region, so I can’t wait to test these once I’m back in a kitchen! Thanks Kirstin. It’s really delicate and beautiful. Give it a go and let me know. I like the new look! Love the pic of the ghraybeh… they look so beautiful, I don’t think I’d be able to stop at one! Hehe. Nice post with a good article on this post. It is really nice sharing. I am very glad to read this nice article. Keep it up…..
A great treat for dessert or for snack! I just like your idea of dipping hands in orange blossom water. It can create a synthetic orange flavor that gives something delicious effect to people before taking a bite. They look so tiny 😀 but like someone said once good things come in small quatities i bet this cookies are tasting better than they look. Looks like it’s the well known Yema here in our place. I’m into cooking for several years now but I haven’t tried making desserts aside from salad and graham cakes. I would love to try this one!